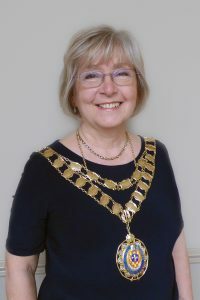 Bicester Town Council are thrilled to welcome Cllr Jolanta Lis as the new Mayor of Bicester. Monday’s Mayor Making ceremony was a fantastic evening with many community groups coming together. We are sure that Jolanta will be an excellent Mayor and we wish her and her consort Lars, every success for the forthcoming year. Her charities for the year will be the Hummingbird Centre, local scouting groups and the Army Cadet Force. Garth Park Play Area Now OPEN!! Bicester Town Council are delighted to announce that the majority of the new play area at Garth Park is now open. Please be assured that we are working hard to ensure we can open the remaining area as soon as possible.